Why is there an unused Tommy Gun in the game? When going through and messing with weapon-specific crosshairs I seen it's name, and a quick search on the web pointed me to the wiki with an entire comprehensive page on it. According to the FF wiki it's supposed to be used by the Civilian "once he finds it". What exactly is it's purpose...? It seems to be a hitscan nailgun with more recoil telling from the stats on the wiki, and with how weak and slow the Civilian is I doubt it would even make a difference to give him a gun like this. It has no real purpose; the early devs just thought it'd be a fun addition. However, it didn't get its animations finished before the initial release, so it was never added to the game. Eventually, the missing animations were created, but it still hasn't been added to the civilian because it completely breaks all of the existing gametypes that the civilian is used in (for example, civilian with a tommygun on waterpolo or hunted means 1-hit kills from across the map). It'd be possible to add it to the civilian and then remove it on any maps that it would break, but I'm not sure how much benefit it'd have overall anyway. So it's basically just an unused easter egg at this point. EDIT: If you want to try it ingame, you can use the command 'give ff_weapon_tommygun' in console (needs sv_cheats 1). Last edited by squeek. ; 08-12-2015 at 11:32 PM. Meh, maybe buff the damage and do this, then enable Civilian on all maps. The Steam page does advertise "10 Classes" after all, and honestly it annoys me to always have that grayed out button for him in class selection. Also, having him in the class selection menu but always grayed out like that could possibly confuse some new players. Last edited by BliTzKriTz; 08-12-2015 at 11:39 PM. It actually says, '10 Classes (9 + Civilian)', but besides that point, the civilian is only playable on waterpolo and hunted; and that's because they were designed around him. Currently, it brings nothing to the table. So upping his damage and giving him the tommygun would still make him a worthless class. I also don't see how it confuses players, it's disabled, meaning not playable on that map. Same action happens on servers that have class limits. I'm guessing that annoys you to? It just makes it more confusing to say 9+Civilian. What does that even mean? Also, yes class limits annoy me. Build the map around the classes, not the other way around. Good maps do not require any restrictions on the classes, and good players put up with classes they dislike and learn to deal with them more effectively (and if they can't, it's the devs' fault, and it needs to be fixed). It's not that the civilian would be a problematic class, that players would have to learn to "deal with", on certain maps. It's the fact that on all but like 2 maps the civ would be completely useless. He'd provide no interesting interactions with the other classes and have no specific role. Not only would he have no role, but he'd be exponentially worse at every role compared to the classes intended for them. You can't just add the civ to the rest of the game just because he's there. That's bad game design. I mean we could also add parachuting dogs and playable vending machines. But what does that actually add to the game, how does that enhance player interactions. The civ has just always been more of an objective than a class. He was made for a specific game mode back in tfc. I don't think I was clear, that rant was more about the ability to disable classes on certain maps in general than anything. 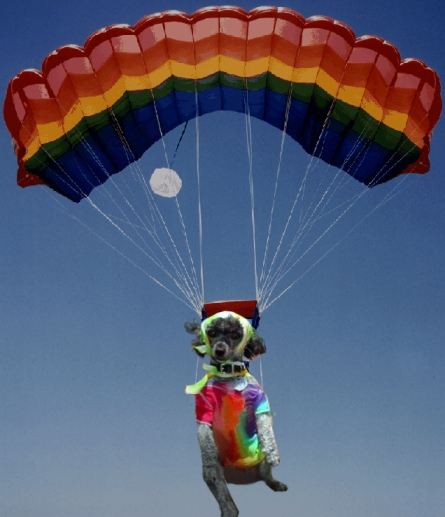 When parachuting dogs will out? I realized that, but those are still all the reasons why civ won't see play in regular maps. He's poop, has no role, and was made for a very specific reason back in tfc. While we're on the subject. The Civi's umbrella could use a buff. It should act as a parachute for the civi with right-click action, giving him temporary low gravity. Doing this would break a lot of maps, there is nothing wrong with having the ability to disable classes on maps. Example : Having a sniper on a rjumping map makes ZERO sense. there is nothing wrong with having the ability to disable classes on maps. You still do not seem to understand. I wasn't even thinking of any maps like that when I said what I said.